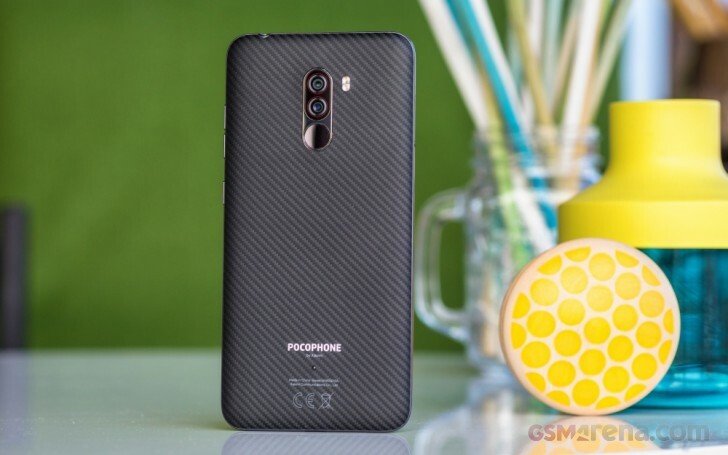 Xiaomi has launched a new variant of the Poco F1 (globally known as Pocophone F1) in India. More specifically, this is a variant of the Armoured Edition. While previously this particular color variant could only be purchased in the top of the line configuration of 256GB storage and 8GB RAM, the new variant has 128GB storage and 6GB RAM instead. This will make the Armoured Edition more accessible, as it now starts at INR 23,999 ($342) for the 128GB model compared to the INR 28,999 ($413) for the 256GB model. As before, there is also the 64GB model, which also comes with 6GB storage, which is still the cheapest variant out of all, but it only comes in standard black, red, or blue colors. The Armoured Edition of the Poco F1 replaces the standard polycarbonate back with DuPont Kevlar material, which is known to be more durable. It also has a peculiar design pattern that you often see replicated on other devices. Although more durable, this finish also attracts smudges very easily, so personally we do prefer the brighter red and blue variants, which also cost a bit less. That's the difference between India and Europe. The consumer rights here are developed, if India force companies to deliver better products and bind with laws, then easily surpass Europe in all the aspects. And in europe (croatia) if they (store/distributor) cant fix phone you get new one with warranty period start over again or full money back. It doesn't matter if malfunction appeared in first month or last month of warranty.